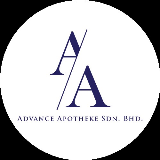 Advanced Apotheke Sdn Bhd are an environmentally friendly company with the passion to offer organic cosmetics and skin care brands, facial and therapy massages to our esteemed clients in Malaysia. We offer UK's largest range of Certified Organic health and beauty products, Neal’s Yard Remedies, Italian biggest cosmetic brand ( L’Erbolario ) and Japan finest natural and organic make up brands THREE. We are the first High street retailer to become Carbon Neutral. Our vision is to bring the expertise of the apothecary and our holistic approach to health and beauty to people and communities. Products: Organic Health & Beauty, Natural Remedies & Therapies. We develop our products free of harmful chemicals and research them to offer the most effective products.